Figure 1-14. - Boiler accessory equipment. Figure 1-15. - Float controller. Pressure regulating is the process of maintaining a difference of pressure between two points in a system. One type of pressure regulating maintains a definite pressure in one part of the system, while the other part fluctuates or changes within certain limits. An example of this type of control is a pressure-regulator valve (fig. 1-16) that maintains a definite pressure on the discharge side of the valve by controlling the flow of steam, air, or gas through the valve. A second type of regulator maintains a definite difference in pressure between two points and also controls the flow. 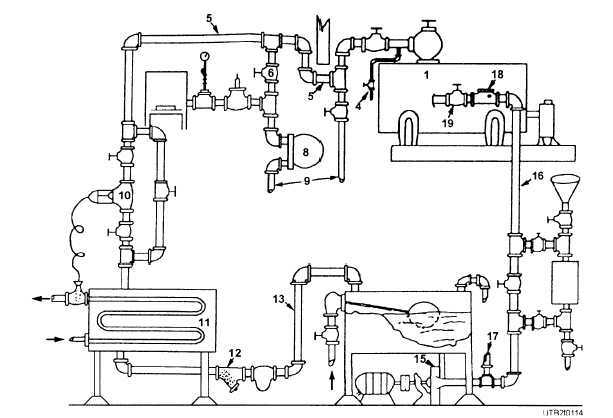 This type of regulator is often applied to a boiler feeding to maintain a fixed difference between the pressure of water supplied at the feed valve and the pressure in the boiler steam drum. The pressure regulator may consist of a self-contained device that operates the regulating valve directly, or it may consist of a pressure-measuring device, such as a Bourdon-tube gauge, that operates a pilot or relay valve. 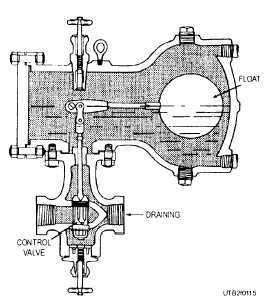 The valve positions the regulating valve or mechanism to maintain the desired conditions.